When someone who writes about his own (well, I’m using ‘he’ in the coming sentences, hope my female readers won’t mind) personal experiences suddenly happens to stop writing one day, readers ask, why? Because, either he feels his experiences as no more enjoyable, or he might have finished telling every story or experience that he knows. If so, he can start a literary journey through the narratives of his friends and familiar persons. What if that portion also is empty? One option is to imagine things, and start writing about made up characters and experiences that you want to happen in your own life, and that is what you call fiction. But my opinion is different. If you are not mature enough to write fiction, deep look into your own dreams, and start writing about the mesmerizing world that you see in them. By the term ‘dream’, I don’t mean the more generic idea pertaining to your hopes or ambitions about your future. But, I mean what you see in your sleep; yes, the wonderful world of dreams. So, today I also have a dream to narrate, which I had seen some years back, during the end of my school days or on the beginning of my college days. In my dream, you won’t believe, I was investigating a crime. 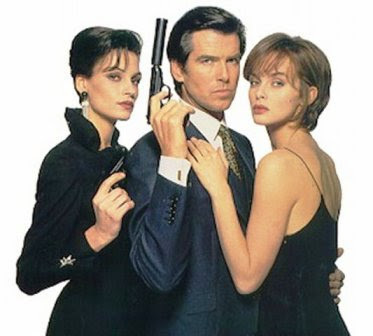 Yes, I was a detective, a matured, muscular and charming sleuth, just like James Bond. Why James Bond? Well, I won’t compare that character with Sherlock Holmes, because I was more like a romantic guy in my dream. A series of murders took place in a village, and I was on a secret mission to identify the murderer. Nobody in the village knew about my mission. But, somehow they accepted me and trusted me as one among them. Many of the occupants of the place were my acquaintances from the real life. That too might have helped me to find them in my dream with full of acceptance for me. I met a girl there and we became friends very soon. During the progress of our friendship, I revealed her the real intention of my visit. Knowing my mission and secrets, she assured me that she would help me, and associated with me during various phases of my investigation, supplying valuable information and clues. Gradually, we found ourselves falling in love mutually. We began to mingle freely, when we were alone, without any inhibition. I had touched her, and had experienced her soothing touch, her womanly feel, and that sense and scent of womanhood, physically and mentally. I still remember that exciting ecstatic experience which I felt when she put her beautifully curved bosom close to my chest. Well, let us stop it here; I don’t want to sound like an adult writer. My allotted time for the mission was closing to its end. I was slowly uncovering the secrets behind the serial murders. But, when I dug deeper and deeper, some shocking truths surfaced. I identified the real murderer. When I collected and grouped all the clues together, all of the evidences pointed to one person, yes, it was her, my companion girl. That was a really shocking finding. The love, and the passion which I had in my mind for her began to put on a very different attire, it was slightly transforming into hatred, disgust, fear, or some other emotion which I couldn’t explain. I recollected the private moments which I had shared with her. The moments when our hearts touched each other, when my chest felt the beats of her curvaceous bosom! Memories about those moments were terror filled, and horrific. But still touched by her love, and by the sweet memories with her, I had fallen in a deep pit of hesitation regarding what stand should I take about the findings. The dream ends here. But, later, when I happened to see a regional movie titled ‘Avano Atho Avalo?’, (My translation, ‘He or She?’) on the TV, I was surprised. It had the same plot of my dream. Don’t think the film makers were inspired from my dream. Because, that film was made quite earlier even before I was born. And the actor who portrayed the lead role, named Jayan, the first action hero of Malayalam, who fascinated the audience with his charming spirit and excellence in action scenes, had died while shooting a stunt scene for a film, in an air crash; that too happened prior to my birth. And you can’t also blame me for stealing the themes for my dreams from films. Because, I hadn’t seen the movie, during the time when this dream took place. 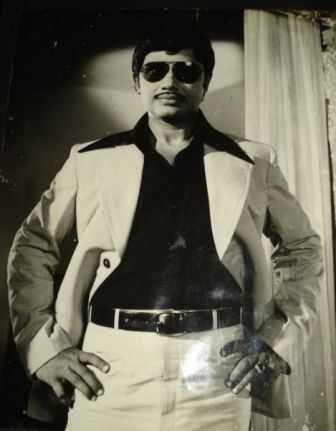 Picture 2: Yesteryears' Malayalam Action Hero, Jayan. Certain dreams and thoughts must be universal. How else would it be possible for myths, poetry, and music from vastly different cultures to have many things in common? It would be interesting if you could have that dream be a recurring one, now that you're older and wiser, so you could see how you would respond to your dream-lover's revelation. some ideas are in the air - kind of energy - and so it comes that often more than one person has a great idea - for a novel, a business, a fashion - and one has to be fast not only to grab it but to realise it (though, in your case, not being born yet, you had no chance). But I had heard a literary theory, The seven basic plots of literature..According to this there are only seven stories in the world..the rest all are their manifestations..
m doing good Rameshji..thanks for the comment.. Remember that movie where one dreams in a dream. Aha the movie is Inception.